Bill to end cell phone discrimination passes preliminary reading. Israel's Knesset approved in a preliminary reading a law which will end the built-in discrimination against haredi cell phone users. The bill, initiated by MK Michael Malchieli (Shas) and MK Roy Folkman (Kulanu), was approved by a majority of 81 to 8. According to law, cell phone companies will now have to receive telephone approval from a customer before changing or raising a plan's fees after the initial sale period ends. They will also be required to continue sending text messages informing customers of the upcoming change. 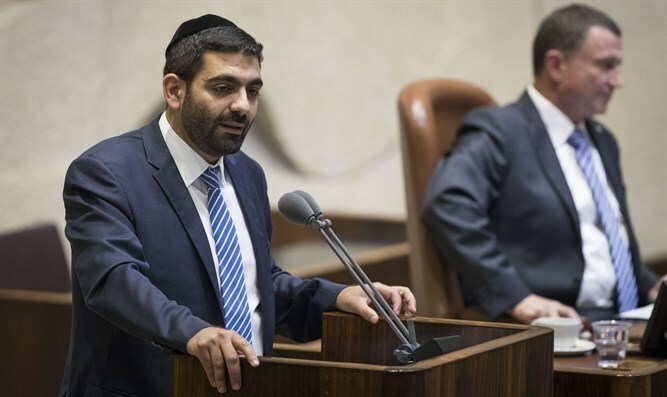 Malchieli explained that the law aims to end discrimination against haredi cell phone users whose phones cannot send or receive text messages. "Cell phone companies would send a text message to a phone, and it wouldn't arrive at all because the phone cannot receive text messages," he said. "As a result, customers would not be aware that the price of their communications package was changing - usually becoming more expensive - and they had no choice but to pay, sometimes a few hundred shekels or more." The law reads, "This proposed amendment mandates that in addition to the cell phone company's obligation to send a text message before the contract or commitment period ends, companies will also have to work actively to contact the consumer by telephone and tell him when his package or commitment will end. If the day when the company must notify the customer falls on a Shabbat (Sabbath) or holiday, the company must notify the customer on the following day."